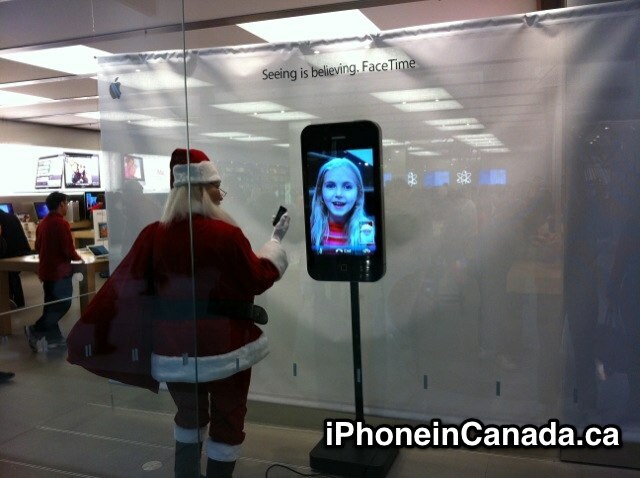 Tonight while out at Oakridge Mall in Vancouver, I noticed the Apple Store had a very interesting Christmas display. 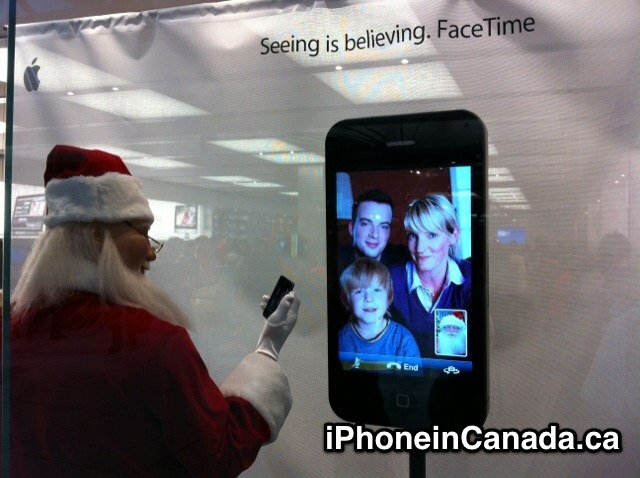 Similar to yesterday’s new iPhone 4 FaceTime commercial, it once again is Santa using FaceTime with children, families, Ms. Clause, and elves. There’s a large iPhone playing a loop of endless magical FaceTime moments. If only FaceTime was around when I was younger so I could chat with Santa. Today’s generation of kids sure are lucky! 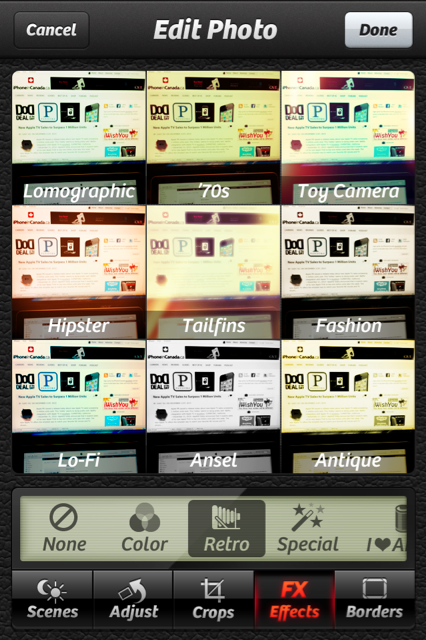 Camera+ 2.0 Now in App Store: Improved and On Sale for 99 Cents!